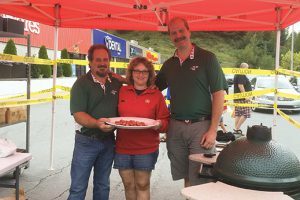 After buying the family business seven years ago, Amanda Fancy has continued to grow the operation despite its somewhat limited market. 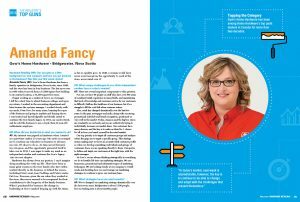 By using proactive marketing and merchandising strategies, she has positioned Gow’s Home Hardware as one of the industry’s top retailers. Hardware Retailing (HR): Can you give us a little background on your company and how you got involved in the business? Was this your first career choice? 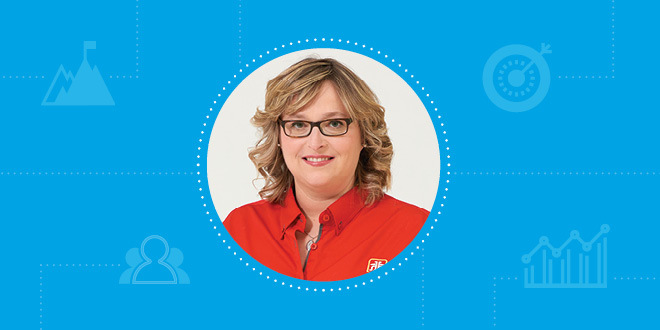 Amanda Fancy (AF): Gow’s Home Hardware has been a family operation in Bridgewater, Nova Scotia, since 1848, and the store has been in four locations. The last move was in 1989 when it moved from a 15,000-square-foot building to its current location, a 33,500-square-foot store. I began working as a cashier at Gow’s as a teenager. I left for a short time to attend business college, and upon my return, I worked in the accounting department and later became the systems manager. I worked closely with my uncle, Peter Gow, for many years, learning the ropes of the business and going to markets and buying shows. I was trusted and knowledgeable and ideally suited to continue the Gow family legacy. In 2012, my uncle retired, and he sold the business to me, a loyal, then-32-year-old enthusiastic employee. AF: My interest was piqued in hardware when I started as a part-time cashier 23 years ago. My uncle encouraged me to continue my education in business to advance my role, if I chose to do so. As time moved forward, my role grew, and the opportunity presented itself to take over in 2012. I was eager to make my mark as an independent retailer and continue the Gow’s legacy into its next chapter. Hardware has always been my passion. I can’t imagine doing anything else with my life. There have been so many great women in the Gow family who have either worked directly in the business or behind the scenes, including Peter’s aunt, Jean Fielding, and Peter’s sister, Pat Gow. However, given the era when they worked at the store, they never seemed to be recognized for their contributions to the longevity of the family business. When I purchased the business, the change in leadership at Gow’s marked keeping up with the times, as far as equality goes. In 1848, a woman would have never even been given the opportunity to work at the store, never mind own it! AF: There are several important components to this question. For one, we have 60 people on staff who have over 600 years of combined retail experience in many fields, and maintaining that level of knowledge and customer service for our customers is difficult. Staff are the backbone of our business, but it’s a struggle to fill the void left when someone retires. Also, retail has changed dramatically over the last few years. In the past, newspaper and radio, along with our strong promotional schedule and brand recognition, positioned us very well in the market. Today, Amazon and the big-box stores are constantly on our heels, and we are collectively trying to individually increase our market share. Our customers have many choices, and the key is to make us their No. 1 choice. It’s all in how you brand yourself in the retail market. Our top priority is to target all customer groups and analyze where the gaps are to target a specific group. This strategy means making sure we have an accurate ideal customer profile so when we develop something, individuals and groups of customers know we are speaking directly to them. Our goal is to define and target our customers at the right time with the right messages. At Gow’s, we are always thinking strategically in everything we do to breathe life into our marketing strategies. We use humorous, promotional and informative types of marketing techniques. We are looking closely at our company’s overall needs and deciding how we can leverage our marketing strategies to continue to grow our customer base. HR: What strategies have you used recently? AF: We’ve changed our marketing strategy dramatically over the last seven years. Bridgewater is about 7,500 people, but our trading area is about 42,000 people. Our customers also span several generations. We serve grandparents and parents who are listening to the radio and looking at the local paper, but their kids and grandkids are on social media. We used to primarily use newspaper and radio, but we’ve cut back, especially on radio and even with the local paper. We are using a lot of social media. Right now, Facebook is No. 1, with about 5,000 likes on our page. We’re also constantly trying to grow our following on Instagram and Twitter. One program we have maintained on radio is a local fishing show, called The First Cast. It’s something people in the community know about us. We are known as a fishing destination. We work with a local producer on a biweekly basis to produce videos for Facebook and YouTube. Videos promote a different department throughout the store. We’re always on social media, including YouTube, and videos have been a strong focus for us over the last year to capture a larger audience. We invested a lot initially to try to build engagement, and we’ve seen strong results. The staff at Gow’s Home Hardware is a close-knit team. They enjoy engaging with customers and spending time together at store events. HR: What are some key opportunities independent retailers have in the short term? AF: As an independent retailer in a rural setting, our skill set isn’t the same as that of a big box or our online competitors. For us, our image is everything, and branding and promoting ourselves as the local choice for our customers is one of our main focuses. We have worked very hard to promote buying local and ensuring we have the products our customers want so they don’t look elsewhere. 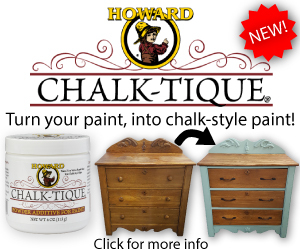 Part of our strategy is to have on-hand products that you can’t find anywhere else. Whether that is the latest fad, advertised Home Hardware-exclusive products or local vendors selling their products in our store, we do our best to draw our customers into our store by offering one-stop service. We want customers to be able to get specialized service in every department. 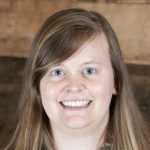 HR: How do you connect with local vendors? AF: Sometimes vendors approach us and sometimes products come in through customer recommendations. We have a lot of small businesses in our area, and we do our best to promote as many as we can. Once a year in November, we have a customer appreciation night that is tax free. We host local vendors at the store during that event. Even if we don’t carry their product in the store, we are able to highlight them and give them exposure. HR: What advice would you give to someone considering getting started in the independent industry? AF: The independent hardware industry is not for the faint at heart. My best advice is to never lose focus of your goals. I won’t lie, there are many challenging days, which is why it’s so important to not allow yourself to deviate from the end result you are striving for. You can’t lose focus! For me, that means on the bad days, taking a deep breath and looking at the big picture. I remember that tomorrow is a new day, and it’s important to start each day with a fresh outlook. I try to encourage my staff in the same way. All staff members are encouraged to give their thoughts and ideas. We’re a team, and everyone contributes in a different way. We make up this family called Gow’s. We maintain a staff Facebook page, a closed group that everyone belongs to. It’s a good way to not only get information out to everyone, but we also encourage staff there. We also host staff barbecues monthly to continue to keep staff engaged. 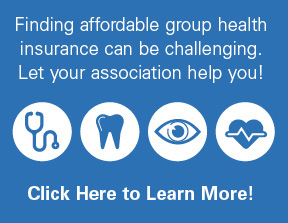 We offer paid birthdays off and full benefits, and we match pension for our full-time staff. Being a seven-day retail operation, those are some things you don’t get in other places. HR: Where do you see your business in the next five years to 10 years? AF: We have plans to transition into furniture and appliances in 2019. With Sears out of the market, it’s a huge opportunity for us. We are in the planning stages of a 54,000-square-foot space to accommodate that new area of our business. One of the key components to our future success is marketing ourselves as the one-stop shop for our customers. Continuing to retain staff with experience and offering exceptional customer service gives us an edge over our big-box and online competitors. What that looks like in five or 10 years? That’s yet to be determined. In today’s market, next week is unpredictable, however, the key is to continue to be able to change and adapt with the challenges that present themselves. 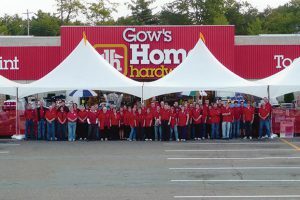 There are 60 people on staff at Gow’s Home Hardware who have more than 600 years of combined experience. HR: What do you think the industry will look like as a whole in five to 10 years? AF: I think our future is very optimistic in the Canadian landscape as a whole. Things are changing so quickly, so it’s difficult to pinpoint what the industry will look like that far out. AF: Networking with other independent retailers gives us a huge advantage over our competition. 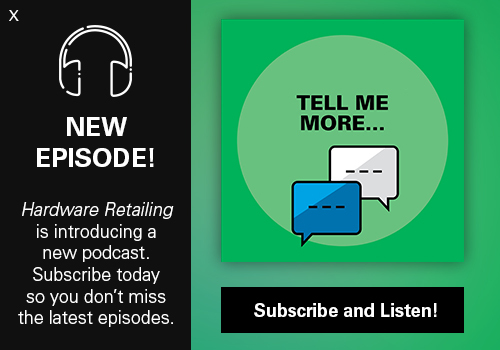 Being with other retailers is huge because every good idea is borrowed. If you can take one idea from a brainstorming session and go back and implement it, you can often see positive results right away. Continuing to develop our team is also key. Home Hardware and NRHA offer many tools to assist in this area. It’s important that we offer training and resources to everyone so our customers experience consistent service no matter when they shop. People have come to expect that from us.